i think we can all agree that calcium is really important for strong bones, as we grew up being told to finish that glass of milk before leaving the breakfast table, but in order for calcium to properly work in our bodies, we need the correct amount of magnesium too! one of the most underrated daily-supplements i feel like people tend to forget about. what you do within your morning and nightly routine is not only important your minds, but your body too. if you follow me on snapchat (tayloredfitness) you know i have an avid morning and nightly routine that i won’t delve into here, but the #1 thing i always do is starting my morning off with a glass of my morning “detox”: apple cider vinegar and lemon juice! which you can read all about if you missed it, here. so what does this have to do with magnesium?! i follow up that detox shot with magnesium! every single morning and then another dose every single night. again, with maintaining good health all around, consistency is key – that is why my ‘staples’ are set every single day so that way they stay within my body all day, helping keep me at my peak performing ability and allowing my body to function at it’s best. so why magnesium? i bet you’re thinking right now “oh great, something else i need to add into my regimen”. but ya’ll..this stuff is not only crucial for your health, but actually helps is so many other ways you probably had no clue about! 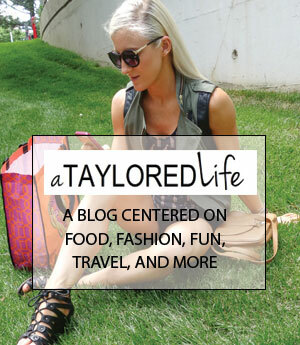 let’s break it down… per usual, tayloredstyle. because who doesn’t love all the facts before ingesting something?! fact number 1: the body needs magnesium to produce energy and synthesize proteins and fats, in addition to regulating muscle activity and the nervous system. as i mentioned above, calcium is important for bone health, but it literally goes to waste without magnesium. calcium is only able to be absorbed into the body and muscles because magnesium allows it to do so-and when there’s a lack of magnesium, you can drink all the milk you like and not see a difference. your muscles need to be able to pull in calcium in order to contract and pull out when they need to relax and magnesium helps perform that function. fact numero 2: magnesium helps maintain a healthy immune system by regulating nutrients in the body and not having enough of the metal in your body can result in deficiencies which can cause illness and make you prone to infection and virus. third fact: happy gut! magnesium helps the absorption between your stomach and your gut to ensure that everything you eat provides you with energy and nutrients to keep you functioning properly. these include nutrients like copper, potassium, vitamin d & zinc. without it, your digestive system wouldn’t be able to regulate blood sugar properly potentially leading to other health issues, including metabolic damage. number 4: the main reason i take this before bed – it regulates the production of Melatonin! this is the hormone that controls the sleep-wake cycle. i can always tell the evenings i forget to take it because my sleep will indeed be slightly off sometimes. fact number 5: constipation! i’ve shared my struggle with chronic constipation and how much the acv & lemon juice morning shot has helped keep me regular, but adding in this to top it off is the cherry on the cake. because magnesium helps regulate the intestines’ peristaltic muscle movements – a dose in the am and night help keep things movin’! other benefits is helping to reduce blood pressure, can be an aid in preventing diabetes, hypertension, asthma and so much more! there’s tons of brands and powders out there, but i absolutely LOVE this stuff! it’s non-gmo, the flavors are all good (orange is my fav!) and they dissolve so quickly in your boiling water. in the morning i toss in an ice cube to quickly cool it down but in the evening i drink in like hot tea, allowing myself to relax with it as it cools. either way, including this into your daily routine should be a priority to increasing your overall health and vitality. because who doesn’t love all-natural ways to make a happier and healthier you, starting from the inside? !